The biggest Slovenian Career Fair is coming to Cankarjev dom - Cultural and Congress Centre on 18 October 2018. The traditional Career Fair MojeDelo.com will return to Ljubljana in a larger and more prudent form. The fair will take place on 18 October, from 10.00 to 19.00 in Cankarjev dom – Cultural and Congress Centre located in the heart of Slovenia’s capital. 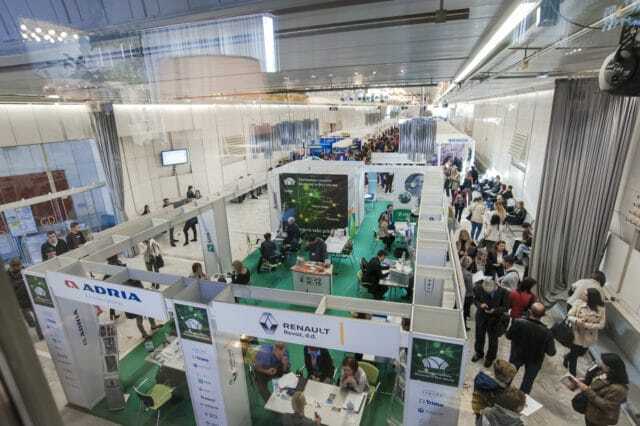 A number of Slovenian and foreign exhibitors will be presented at the fair for future employees. The largest Slovenian event of this kind represents the main job market’s juncture where the companies, employers and job candidates meet. The aim of the event is to encourage employment and economic growth in the region. This year, around 100 companies looking for new strengths are expected. Organiser is also preparing interesting career lectures and professional career points for the visitors, such as professional photography or career counseling. This year’s fair will gather even more employers than usually. As the organiser says on its website, the situation on the labor market has changed considerably over the past year, as now companies are the ones that are eagerly looking for different staff and are making significant efforts to acquire them. The MojeDelo Carrer Fair presents a huge opportunity for those who want to move forward in their careers. With hosting such an event, Cankarjev dom – Cultural and Congress Centre Ljubljana, yet again proves its character of an excellent venue for a diverse specter of corporative events. Besides the Career Fair, Cankarjev dom this year hosts Award ceremony of Chamber of Commerce and Industry of Slovenia (CCIS), the International conference on content marketing – POMP FORUM, the project Slovenska gazela awarding the best and fastest growing Slovenian companies, TEDxLjubljana, and the 26th Manager’s concert, to name a few.